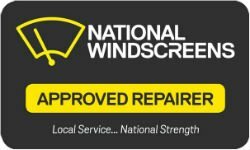 Whether you need a car windscreen replacement or you have a rear window chip you want repaired, the team at National Windscreens can provide mobile car window services in Innisfail you can rely on. We also offer our services in the surrounding areas of Innisfail, Hudson, Cullinane, Goondi Bend, Goondi Hill, Mighell, East Innisfail, Webb and Eaton. National Windscreens is proud to be the number one choice for windscreen repair and windscreen replacement in Innisfail and surrounding areas. Contact us to learn more about our services or make a booking.